Visiting other people’s blogs and communities can be addictive. It’s been wonderful meeting other Christians online. during daily routines is encouraging. It’s a fun pastime. Since I’m fairly new at social networking, I don’t have many followers. But during my devotions one morning, I felt much better about the concept of following. I’ve been reading A. W. Tozer’s books. I just finished Experiencing the Presence of God and started The Pursuit of God. God. I considered the blessings I’d have if I put the same amount of time and energy into following after God as I do in trying to build my social networking followers. here’s a social networking analogy. Why are we drawn to people who smile? Probably because a smile is contagious, affirming, reassuring, attractive, and inviting. Children love a teacher who smiles a lot. That makes them feel safe. At the end of the school year, educators evaluate the year. They consider the highlights, and reflect on what could be improved. When I was an administrator, I used to ask the teachers to complete a brief questionnaire. The form was a way of gathering feedback regarding what went well, what could be changed for the coming year, and how I could better help them in the future. I reflected on what message I was sending when I smiled. I communicated that I was pleased with them, all was going well, and learning was fun. I love to imagine God pleased with me. Smiling at me in approval. Here are some verses that give us a hint of what might make Him smile at us. Most children get one negative comment to five positive comments each day. Children with ADHD get five negative comments to one positive comment each day. Imagine what a sincere smile could do for a child with ADHD. Check out the wonderful YouTube video created by ADHD Aware. It’s wonderful that there are so many resources for parents nowadays. Years ago, I traveled a lonely path. My son (now 31 yrs. old) was identified with ADHD in 1985. Most people never heard of ADHD. Hyperactive behavior was considered the result of poor parenting. So, the logical treatment was to judge the parent…give them advice whether they asked for it or not. The CHADD support group was cancelled in 1987 due to lack of participation – not a single parent attended! Fortunately, I knew about the disorder because I began my career in special ed. in 1976. Even when I was a child in the ‘60’s I knew about minimal brain dysfunction (what ADHD was called back then: http://www.adders.org/drbilly3.htm). My uncle worked for CIBA, so I knew about Ritalin. I’m grateful there is growing awareness of girls who have ADHD. 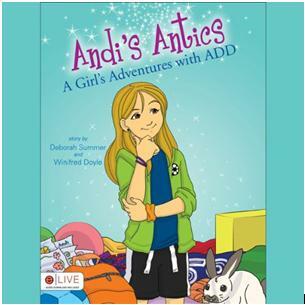 Andi’s Antics is a charming children’s book about a girl who discovers she has ADD and learns how it affects her. Many of the ordinary things we do throughout each day can feel like drudgery. Maybe some of the necessary tasks feel like punishment at times. Nowadays, I enjoy food shopping. Thanks to Wegmans. 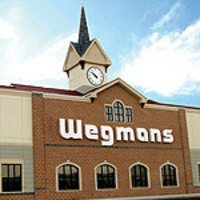 I even started a discussion about Wegmans in my community. It’s my favorite food store. There are TONS of choices! The customer service is unsurpassed. It’s a fun and surprisingly quiet place to have a meeting. I could go on. No, I’m not related to the owner. I just love it. I enjoy doing the weekly food shopping with my husband. I’m grateful we have money to buy food during these tough economic times. Do you have a routine task that’s also a simple joy in your life? In my community I started a discussion about ‘Soaring Self-Esteem.’ When one of our sons was suffering from low self-esteem a counselor shared a biblical truth that transformed my thinking. He said that Chris will find his esteem in the knowledge that the God of the universe created him perfectly, sent His son to die for him, and has a purpose for his life. What a concept! God-Esteem is the solution to low self-esteem. It’s all about our focus. If we simply focus on how much God loves us, our self-esteem will soar. So often we feel helpless to heal our child’s hurting heart. This is something you do to minister to your child. Sharing this truth will help his/her self-esteem soar! This simple and biblical solution to poor self-esteem led me to publish a book entitled God Esteem, Not Self Esteem. I put it in a safe place. Our son and his wife will soon be adoptive parents of a baby girl. When my son was a toddler his favorite stuffed animal was Kitty. He had a zoo of other stuffed animals, in addition to several characters from The Cat in the Hat books and several Popples. I’ve saved Kitty for 29 years. I was SURE we put the black trash above our garage. My husband climbed up and looked all around. No Kitty. No problem…on to the shed. My other son and I looked for 3½ hours. No Kitty. But the shed was all organized. No problem…on to the garage. I looked for 4 hours. No Kitty. But the garage was all organized. Now it’s almost a problem. I’m running out of places to look. I should have left Kitty in the trunk of my car! Meanwhile, I’ve been reunited with lots of things I haven’t seen for a while. Why do we put our greatest treasures in those elusive ‘safe’ places? 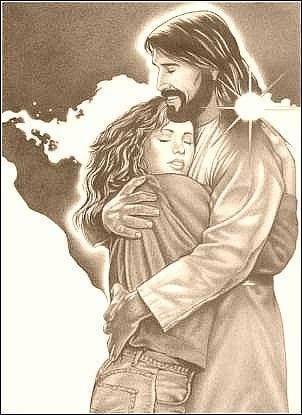 I’m glad God’s keeping track of my treasures in heaven. I’m doing a lousy job keeping track of some of my earthly treasures. Please tell me I’m not the only one who has misplaced a valuable item by storing it in a ‘safe’ place?!!! Fall is my favorite season. The lower humidity is easier for me to tolerate with my MS (since high humidity weakens me and makes my aches more painful). 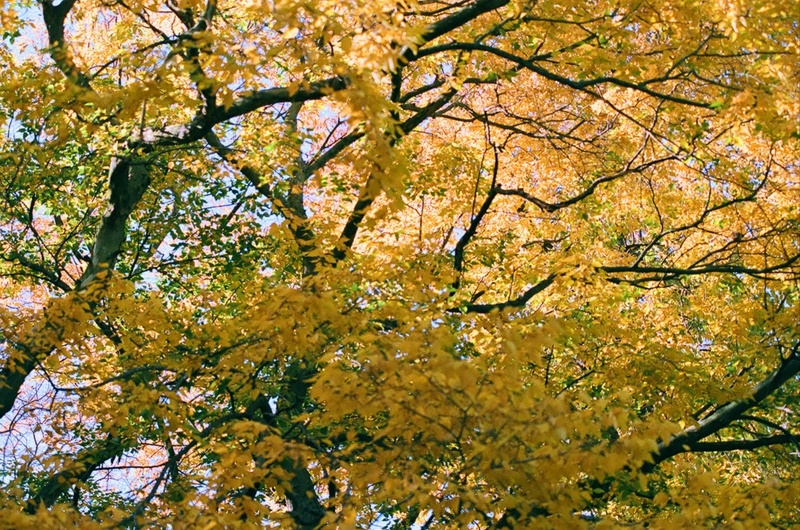 I love to take pictures of the beautiful foliage. My walk to the bus stop was a whole new adventure. It made me realize I had been missing beauty all around me. Even a network of worms would be transformed into a lovely lace design (when I mentally framed it). That assignment not only opened my eyes to previously unseen beauty, it opened the eyes of my heart. How much beauty do I miss in others? What can God show me if I shift my perspective upward? There is so much beauty to find in others. Oh the joy of a heavenward perspective! There is so much to learn about God’s love.